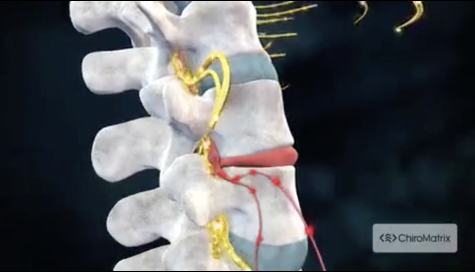 Do you have neck pain, low back pain, headaches, migraines, pinched nerves? Have you been in an auto accident or work injury. We can help you! Located in the heart of Shreveport, the leading health professionals at Advanced Chiropractic are dedicated to helping you achieve your wellness objectives; combining skill and expertise that spans the entire chiropractic wellness spectrum. Dr.Timothy Angely is committed to bringing you better health and a better way of life by teaching and practicing the true principles of chiropractic wellness care. Dr. Angely is the chiropractor to see in Shreveport. Patients seeking treatment at Advanced Chiropractic with Dr. Angely are assured of receiving only the finest quality care through the use of modern chiropractic equipment and technology. Dr. Angely and his staff have a genuine concern for your well-being! Dr. Timothy Angely has been a licensed Chiropractor since 1995. "I have been a patient of Dr. Angely's for four years. Without Chiropractic, I probably would have had to have back surgery by now. But instead I am healthy and free to do most any activity." "Both my husband and I had back pain after the auto accident occurred. We immediately felt better just after a few adjustments of our spines. We were very pleased with the care we received and after our therapy was over, we both have stopped having neck and back pains and are very happy with the service we received." "I could not lift my grandchildren because of pain in my mid back. After going to Dr. Angely for treatment and manipulation of my spine, I am now happily caring for and playing with my grandchildren like I enjoy doing. I could not thank Dr. Angely enough"